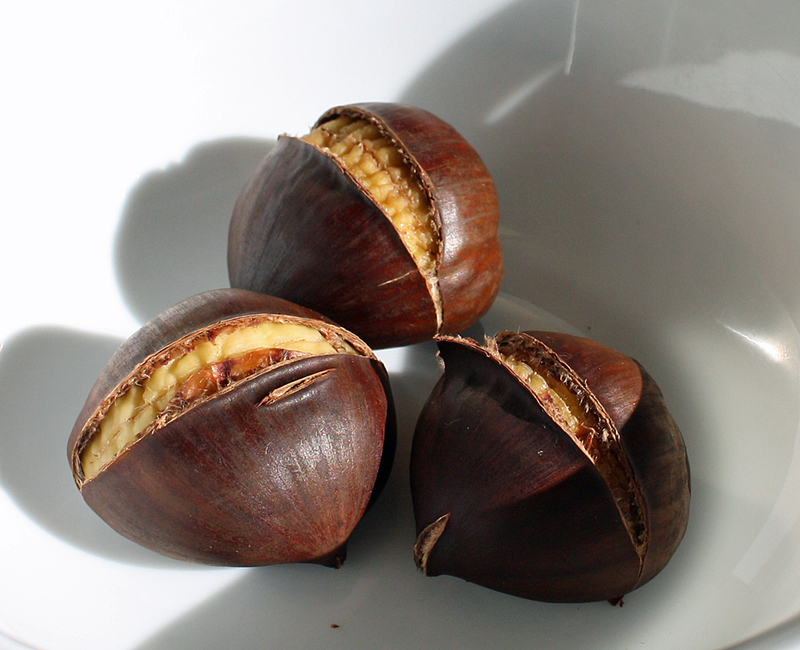 First, score the chestnuts in one slice along the rounded side. 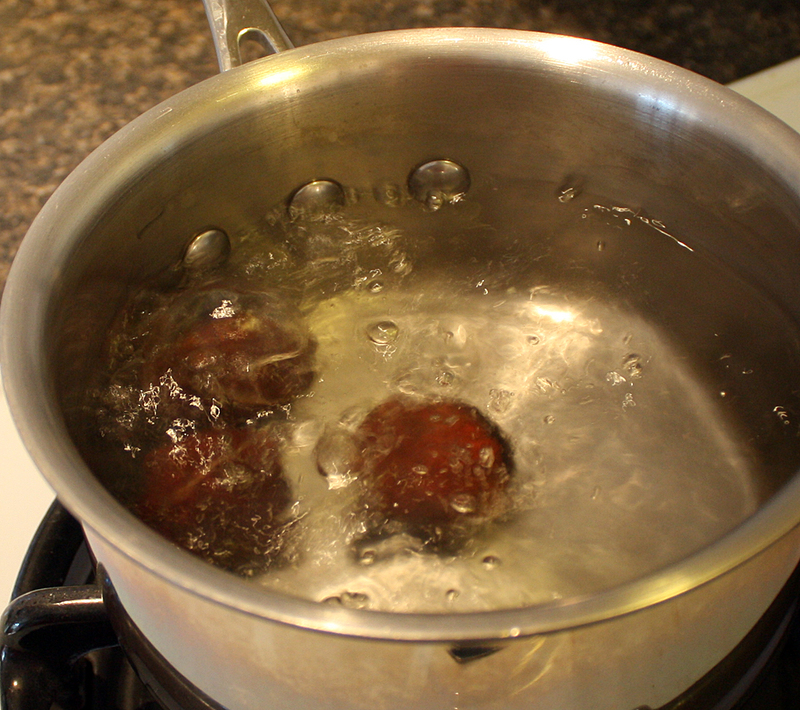 Add the nuts to a pot, cover with cold water and a dash of salt, bring to a boil. 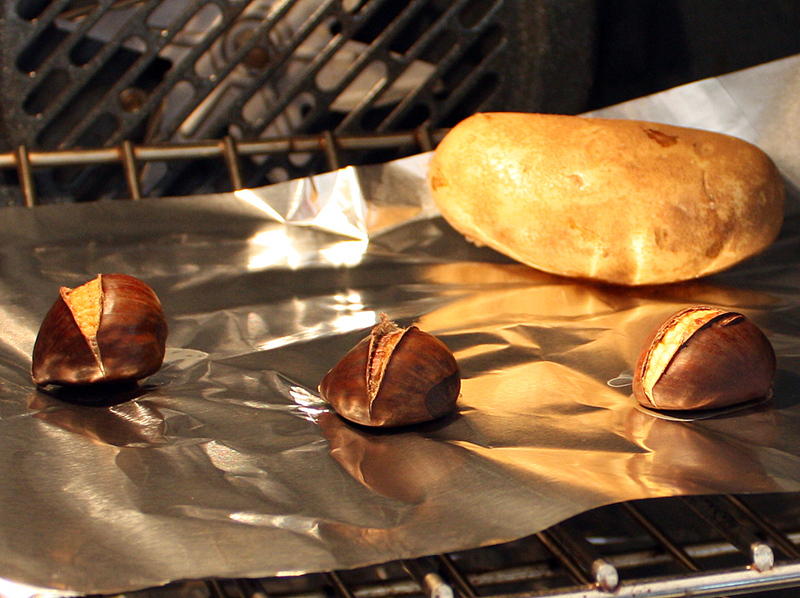 After the nuts come to a boil, fish them out and immediately transfer them to a hot oven, about 425 degrees F. I was already roasting potatoes so I decided to let the oven do double duty. 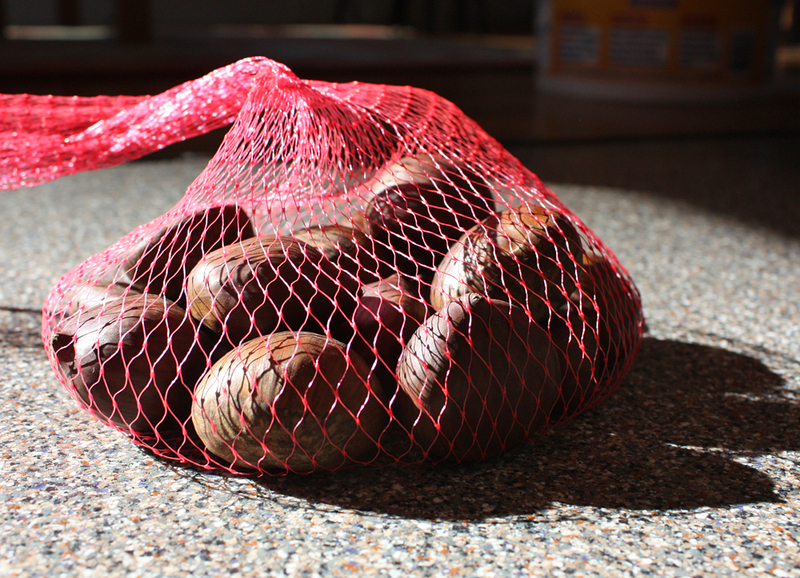 After the chestnuts roast in the oven for 15 to 20 minutes, transfer to a bowl and cover for 15 minutes so they steam-cook the rest of the way. They’ll be warm and easy to handle. The one departure here from tradition is boiling before roasting. I’ve tried roasting without boiling and I have to say, boiling them first makes a moister, not chalky, nut that cooks evenly. They’re also less apt to singe if you leave them in the oven too long. This entry was posted in Uncategorized on November 23, 2017 by Bix. This post is an oldie. It’s based on an About.com video that doesn’t exist anymore. Back when I started blogging there weren’t many instructional cooking videos on the internet. Videos weren’t even common. Today there are hundreds of videos and blogs and sites devoted to cooking. And they’re fantastic. It’s a cook’s paradise out there.